7+ years of experience doing non-anesthetic dental cleanings. Over 3000 dogs and cats completed and 100+ locations. A+ Accredited by the BBB. 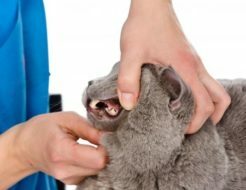 Not only trained in the latest non-anesthetic pet dental techniques but also all of our staff is Pet First Aid and CPR trained by Pet Tech. All emails and phone calls are answered the same day they are received. Our technicians welcome your questions and are here to answer any questions or concerns you might have. Healthy Smile Pet Dental is the leading provider for Non-Anesthetic Pet Dental Services in the country. 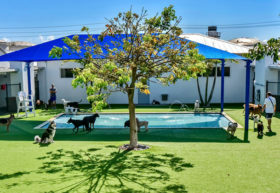 We services 100's of animal hospitals, boarding facilities, groomers, retail pet stores and more. 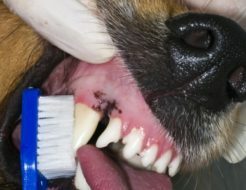 We specialize Non-anesthetic dental cleanings for Dogs & Cats utilizing a proprietary hand scaling and polishing technique. Take a look at our Dog Teeth Cleaning & Cat Teeth Cleaning Pages for more information. Took book and appointment now to have your Dog or Cats teeth cleaned, click on the book now button or simply call us to find out locations and availability. Once you fill out the partner agreement application and are approved, we start marketing a Doggie Dental Day at your location. We try to book between 10-30 pets per visit once a month. We partner with pet businesses of ALL kinds. 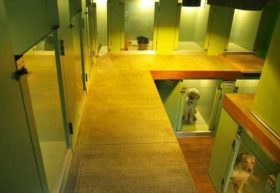 From dog groomers to animal hospitals, cat cafes and boarding facilities. Pet Retail stores. We offer a revenue sharing arrangement with every single one of our partners. 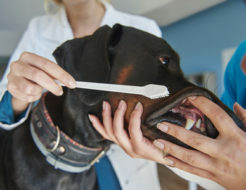 You market the doggie dental day to your clients, we clean the teeth and you make a profit. Getting started is easy! Simply click the Partner Agreement button bellow. Fill out the form and once we receive and analyze your application one of our team members will get your facility setup and schedule a meeting to get you started.